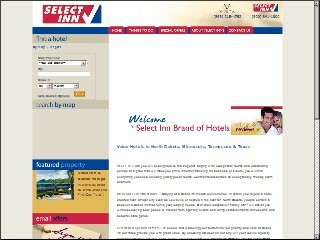 Description: Select Inn Of Fargo-West Acres is a business categorized under hotels & motels, which is part of the larger category hotels & motels. Select Inn Of Fargo-West Acres is located at the address Ih 29 & 13th Ave SW in Fargo, North Dakota 58103. The Manager is Kris Frederick who can be contacted at (701)282-6300. Location & access map for "Select Inn Of Fargo-West Acres"